Between Argentina and Uruguay, in the middle of the Rio de la Plata is a scantly populated island called Martín García, one of Buenos Aires´ natural reserves and historical landmarks. The island, which was discovered by the expedition of Juan Díaz de Solís in 1516 was initially used as a prison 1765 until 1886 since it was very difficult to escape from due to the turbulent waters around it. 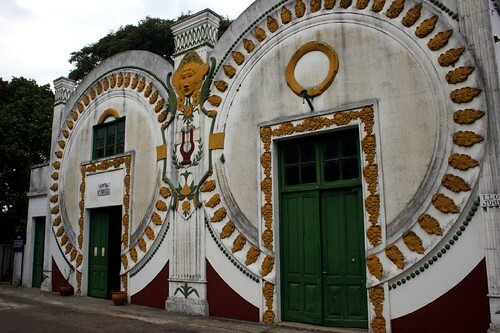 Later on it was also used as a political prison and military garrison and some of the country’s most important and controversial political figures such as Marcelo Alvear, Hipolito Yrigoyen, Juan Domingo Peron and Arturo Frondizi served time there. Now a days the island functions as a tourist destination and ecological reserve with over 800 species of plants, and more than 250 species of birds. Historical sites include a museum, a lighthouse, the prisons and a cemetery amongst others. The island is also famous for its Panettone. There are only two ways to get to the island, one is by a light aircraft which takes approximately 20 minutes from the city, and the other is by the Cacciola boat company in Tigre which offers day trip excursions including snacks and lunch and also overnight excursions with lodging at the only hostel in the Island. Aircraft information here. La Cacciola here.